Rate yourself! Set off the fireworks! 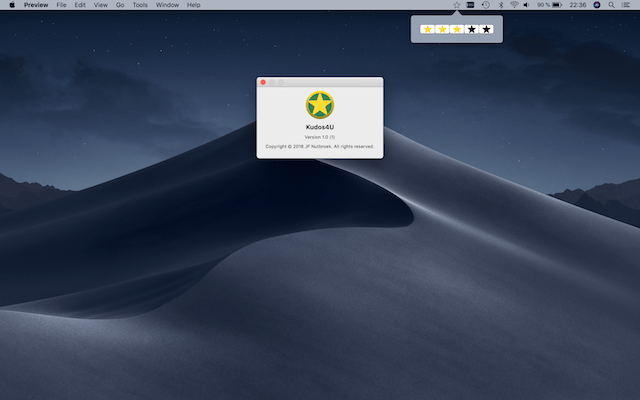 Rate yourself with this fun status bar App for macOS. Did you just finish an assignment, homework, essay, email, presentation …. rate yourself! 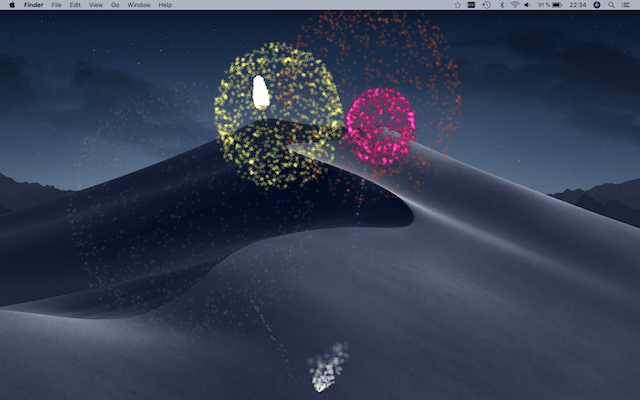 From 1 to 5 stars, fun firework will splash all over your desktop (and work). 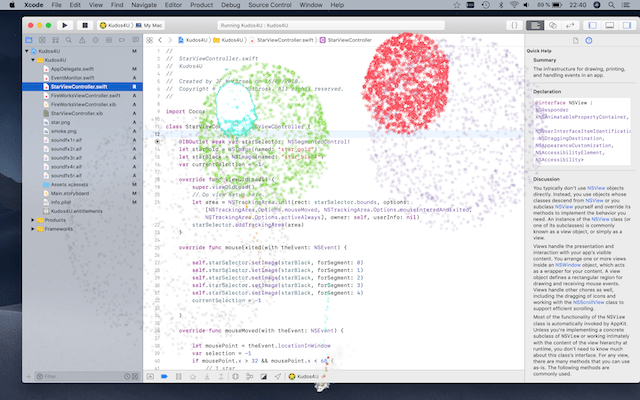 Tip: Hold down the option key ⌥ and click the star icon on the status bar to adjust the sound. The App is notarised by Apple, which means it’s safe to download and open. It’s completely ad-free, in-app purchase free and private.